In his second big-league season, young Pittsburgh Pirates infielder Jimmy Viox hit .317, good for third place in the 1913 National League batting race. In the eyes of many observers, including Sporting Life, Viox had supplanted Johnny Evers as the senior circuit’s top second baseman, and great things were expected of Viox in coming seasons. Sadly, his early promise went unfulfilled, and less than three years later, Viox was playing in the minors, his major-league career completed by age 25. Looking back a century later, no telltale cause for the decline in Viox fortunes – a catastrophic injury, a drinking problem, behavioral issues – appeared in newsprint. And that is not surprising, as Jimmy was a sober, conscientious, hard-working professional. Rather, it appears that he may have been the victim of a cleaning-house strategy adopted by club management, nagging leg miseries, and/or a growing perception that he had become a defensive liability. Whatever the case, Viox never got a second major-league chance, playing out his career in Class AA to Class D ball. Notwithstanding that disappointment, Jimmy Viox remained attached to baseball, participating in old timer’s games, attending player reunions, and staying close to the diamond for the rest of his 78 years. Short and sturdily built (5-feet-7 and about 165 pounds in his prime), Jimmy Viox was a versatile infielder-outfielder who threw and batted from the right side. He first attracted attention playing for the College Hill club in the Saturday Afternoon League, a fast amateur circuit in Cincinnati. Jimmy began his professional career in August 1909, signing in midseason with the Lexington Colts of the Class D Blue Grass League.7 Immediately installed at third base and slotted into the leadoff spot, Viox sparked a reversal of form for the also-ran (48-69) Lexington club, which promptly won series from league rivals Frankfort, Winchester, and Richmond. Later, manager Tom Sheets “moved Viox to shortstop, and the Colts played solid baseball the rest of the year.”8 Although he posted only a modest .242 batting average, Viox had been more than decent on defense (.930 fielding average)9 and had made a fine first impression. Returning to Lexington for the 1910 season, Jimmy blossomed. In 127 games he batted .281, with 34 extra-base hits and 32 stolen bases. 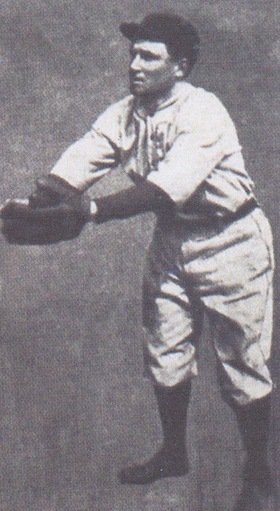 Despite playing parts of the campaign with a broken finger, Viox posted a good-for-the-era .937 fielding average and was generally deemed the Blue Grass League’s all-star shortstop. The year 1914 was an uneven one for Jimmy Viox, with disappointments on the playing field relieved by happiness found away from it. January saw Viox inking a $2,500 pact with the Pirates for the coming season.19 The slender size of that contract would become a bargaining chip for those plotting the course of a new rival on the major-league scene, the Federal League. Throughout 1914, concerted effort would be made to induce Viox to jump to the nascent circuit. Maneuvers began in spring training when Federal League brass dispatched former Pittsburgh hurler Howie Camnitz to the Pirates’ preseason training site in Hot Springs, Arkansas, “to troll for players. In particular, Camnitz targeted pitcher George McQuillan and infielder Jim Viox.”20 Camnitz offered Viox a substantial salary increase, initially a $3,500 contract, then raised to $5,000, to jump to the FL Pittsburgh Stogies.21 Feeling bound to honor his commitment to the Pirates, Viox declined the offer (as did McQuillan). The Pirates began the season in grand style, winning 15 of their first 17 contests. Club fortunes then declined rapidly. On July 1 the Pirates ended a road trip with a 5-1 loss in St. Louis that reduced their season record to a middle-of-the-pack 30-32. The Pittsburgh second baseman, however, was temporarily preoccupied with matters other than his team’s recent poor form. On the way back to Pittsburgh, Viox detoured in Cincinnati for his wedding to 24-year-old Nell Buckner Lovely. Jimmy had met Nell, a movie-house piano accompanist and a contralto in the choir of the Broadway Christian Church of Lexington, during his tenure with the Lexington Colts, and courtship had ensued. They were married at the Havlin Hotel on July 2, 1914,23 and would go on to have three children, James Jr. (born 1916), Anne (1923), and Eleanor (1925). The honeymoon, however, would have to wait. The next day, Jimmy was back in the Pirates’ lineup, going 1-for-4 in a 2-1 victory over the Chicago Cubs. Like the performance of his team, the play of Jimmy Viox did not meet the standard of prior seasons. His .265 batting average, while second only to that of catcher George Gibson (.285) on the club, was more than 50 points below the previous season’s mark, and Viox’s other offensive numbers had declined as well. Jimmy’s 45 errors in the field were additional cause for alarm. Meanwhile, frustrated Pirates fans had abandoned the team in droves. The 1914 attendance of 139,640 was barely one-third the number of Forbes Field attendees from only two seasons before. The remaining faithful were then disturbed by offseason reports that Viox had signed for 1915 with the Federal League club in Brooklyn. Jimmy denied that he had jumped the Pirates, but admitted that his loyalties had been tested. “I was given a good offer [by the Brookfeds], more than I ever got with the Pittsburgh club, but just thought the matter over and decided to stick with the Pirates. That’s all there is to it.”27 Viox would return to Pittsburgh for the coming season, but his continued dalliance with the Federal League did little to endear him with Pirates management. Nor was club brass likely enamored of Viox’s service on the board of directors of the Baseball Players Fraternity, the ill-starred union organized by outfielder-turned-lawyer Dave Fultz. The Pirates began the 1915 season with an infield shakeup that saw Viox shifted to third base, much to the displeasure of Pittsburgh fans. The campaign had barely commenced, yet Jimmy was already “the target of scorn,” his play at the hot corner drawing an “unmerciful panning” from the hometown crowd.28 Given the inherent difficulty of the position and Viox’s newness there, Pittsburgh sportswriter A.B. Cratty decried the unfairness of fan treatment of Viox,29 but his plea for time and patience for the new third sacker fell on deaf ears. Shortly thereafter, Cratty sadly concluded that “Jimmy Viox has lost out in his battle with the fans.”30 He had also lost the confidence of manager Clarke, who abandoned the infield realignment and returned Viox to second base. The Viox shift and other moves mildly improved Pittsburgh fortunes over the long haul, with the club (73-81) rising to fifth place in NL standings by season’s end. But the performance of Jimmy Viox continued its gradual decline. His batting average slipped to .256, although a superb walks (75) to strikeouts (31) ratio yielded a fine .357 on-base percentage. His production in other areas (extra-base hits, RBIs) dipped as well, while his fielding, even at a congenial position like second base, did not show much improvement – all cause for concern in someone as young as the not-yet 25-year-old Viox. In the Pirates front office it was feared that Viox had already peaked as a player. Although he was still just 25, Jimmy Viox’s major-league career was over. In 506 games over the course of five seasons, he had posted a Deadball Era-respectable .273 batting average, with an impressive walks (222) to strikeouts (112) ratio yielding a .361 career on-base percentage. He also scored 214 runs, while driving in 191. Jimmy’s downfall had been defense. Although his major-league career fielding average was a sound .949, his lack of range is reflected in the dismal minus-114 runs rating given to him by Total Baseball.35 By this metric, Viox’s defensive play, when compared to that of the average NL middle infielder, had cost the Pirates an additional run about once every five games played – an unacceptable fielding norm. Still, given his youth and good bat, it is surprising that Jimmy Viox never received another big league shot. But here, the vagaries of circumstance and a refusal to travel west appear to have conspired against him. Although his major-league career was now behind him, Viox’s attachment to the game continued. In 42 late-season games with Toronto, Jimmy batted .313. The revival of Viox’s bat prompted the Los Angeles Angels to purchase his contract for the remainder of the long (210 games) Pacific Coast League schedule.36 But with a wife and newborn son home in Ohio, Jimmy refused assignment to the West Coast and called it a season. The following year, Viox batted .315 in part-time duty with the Kansas City Blues of the American Association. He returned to Kansas City for the 1918 season, but was noticeably heavier and his hitting suffered. Jimmy was batting a mere .212 when the burdens of World War I obliged the American Association to suspend play on July 21, 1918. In March 1919 Kansas City traded the “rotund handyman” to Salt Lake City of the PCL in exchange for outfielder Ward Miller.37 But once again Jimmy refused to report to a faraway club.38 Salt Lake thereupon placed him on the suspended list, making Viox ineligible to play anywhere in Organized Baseball.39 Accordingly, Jimmy would spend the 1919 season playing for a Bellevue, Kentucky, nine in the semipro K-I-O League.40 He signed with the rival Norwood club for 1920, but made public his desire to return to the professional ranks. Salt Lake tried to oblige by selling Viox’s contract to the Akron Buckeyes of the International League, a club in his native state. But for reasons unknown, Jimmy declined to report to Akron.41 He was agreeable, however, to the transfer that sent him to the Portsmouth Truckers of the Class B Virginia League.42 Arriving in late May, Viox played mostly in the outfield, batting .302 in 88 games. Midway through the campaign, Jimmy also became the team’s manager, guiding the Truckers to a second-place (73-45) finish. Portsmouth then defeated the pennant-winning Richmond Colts in a seven-game postseason series to claim the Virginia League championship.43 Paced by the blistering .370 batting average of manager-outfielder Viox, the Truckers encored as league champs in 1922. But three was not a charm for Portsmouth, as the 57-61 club fell to fifth place in 1922. At the close of the 1922 season, the Louisville Colonels purchased Viox’s contract.44 Playing the outfield for future Hall of Fame manager Joe McCarthy, Jimmy was off to a .330 start in his first 100 at-bats. But a collision chasing a fly-ball in a June 23 game against Toledo brought his season to an abrupt end. Viox returned to Louisville for the 1924 season and was batting .317 (13-for-41) when he was reportedly sold to the Mobile Bears of the Class A Southern Association,45 but no record of Viox playing there could be found by the writer. Rather, Jimmy seems to have spent the remainder of the season as player-manager for the Lexington Studebakers of the Blue Grass League, the entry-level minor-league circuit where he had gotten his professional start some 15 years earlier. In 88 Lexington games, he batted .329. The next year, Viox returned to the Virginia League, engaged as player-manager of the Rocky Mount Broncos. Citing ill health, he resigned the post on June 20, 1925, and went home.46 Jimmy spent the next two summers playing in the semipro Central League of Cincinnati. He ended his professional career with a flourish in 1928, batting an outlandish .526 in 12 games as player-manager for the Raleigh Capitals of the Class C Piedmont League. But club fortunes plummeted once injuries took the 37-year-old skipper out of the Raleigh lineup, and Viox submitted his resignation in late May.47 His playing days had come to their end. By the early 1930s Jimmy and his growing family had relocated to Erlanger, Kentucky, about ten miles from Cincinnati. He lived there for the remainder of his life. Jimmy spent most of his post-baseball years in the employ of General Motors, working in the auto-parts department of the plant in nearby Norwood, Ohio. Although baseball no longer furnished his livelihood, Viox maintained his connection to the game, participating in old timer’s games and activities, attending player reunions, and taking in ballgames with family. In 1964 he was honored at ceremonies held in Portsmouth, the place where he had guided championship teams more than 40 years earlier. Among old friends in attendance were Waite Hoyt, Bubbles Hargrave, and Larry Kopf.48 That same year, Jimmy and Nell Viox celebrated their 50th wedding anniversary. A few years later, symptoms of lung cancer surfaced. James Henry “Jimmy” Viox died at home on January 6, 1969. He was 78. Following funeral services, he was interred at Forest Lawn Memorial Park in Erlanger. Survivors included his wife, Nell; daughters, Anne Viox Wainscott and Eleanor Viox Zumbiel; and his sister Adella Viox Tuttle. The writer is indebted to Bill Viox and Jim Viox, III for information and feedback on this bio of their grandfather. 1 With the exception of the Macmillan encyclopedia, baseball reference works from The Official Encyclopedia of Baseball by Turkin & Thompson (1951) through his current entry in Baseball-Reference list our subject as James Harry Viox. The middle name is incorrect. Jimmy Viox’s middle name was Henry, as confirmed to the writer by grandson Bill Viox (the son of James Henry Viox Jr., and the younger brother of James Henry Viox, III). See also the World War I draft registration card completed by James Henry Viox, viewable online via Ancestry.com., and the player questionnaires for James Henry Viox contained in the Viox file at the Giamatti Research Center, National Baseball Hall of Fame and Museum, Cooperstown, New York. 2 Sources for the biographical data presented herein include material contained in the Jimmy Viox file at the Giamatti Research Center; Viox family postings on the Ancestry.com website; Retrosheet; The Encyclopedia of Minor League Baseball, 2nd ed., Lloyd Johnson and Miles Wolff, eds. (Durham, North Carolina: Baseball America, Inc., 1997), and certain of the newspaper articles cited below. Unless otherwise noted, statistics have been taken from Baseball-Reference. 3 Jimmy’s siblings were Lena (born 1886), Katherine (1887), Anna (1892), Adella (1896), Frances (1897), Margaret (1899), Joseph (1903), and an unknown child who did not survive infancy. He also had two older half-sisters, Elizabeth (born 1877), and Mary (1879), from his father’s late first wife, Ellen Finnerty Viox (1859-c.1886). 4 As per the player questionnaire (on file at the Giamatti Research Center) completed by Jimmy Viox in the 1960s. 5 As per the Cincinnati Post, June 14, 1912. 6 During his eight-season (1896-1903) professional career, Roney Viox played for top-tier minor-league clubs in Cleveland, Louisville, Milwaukee, and elsewhere, posting a lifetime .244 batting average. Upon his death in October 1913, it was reported that Roney Viox and his nephew Jimmy had been “great pals.” See Cleveland Leader, October 7, 1913. 7 As reported in the Lexington Herald, August 5, 1909. 9 Sporting Life, December 9, 1909, and the Reach Official American League Guide (1910), 427. 10 As reported in the Rockford (Illinois) Morning Star, Sporting Life, and the Washington (DC) Evening Star, September 2, 1910, and elsewhere. 11 As reported in the Lexington Herald, September 20, 1910, and Sporting Life, September 24, 1910. A month earlier, Lexington had spurned Louisville attempts to purchase Viox’s contract, according to the Lexington Herald, August 21, 1910. 12 Baseball-Reference provides only hitting stats for Viox in 1911. His fielding percentage is taken from the 1911 Reach Guide. 13 As per the Boston Herald and Lexington Herald, August 23, 1911. Viox was supposed to report to Pittsburgh at the conclusion of the Blue Grass League season, but whether he did so is unknown. In any event, Viox saw no game action for the Pirates in 1911. 14 As reported in the Cincinnati Post, June 14 and 22, 1912. The Jimmy Viox Day Committee was led by Louis Uehlein, the plumber whom Jimmy worked for in the offseason, and George Berger, proprietor of the Reading bowling alley where Viox spent much of his offseason leisure time. 15 Cincinnati Post, June 24, 1912. 16 Sporting Life, August 17, 1912. 17 Viox’s .317 mark remained the highest batting average posted by a rookie second baseman until bettered fractionally by Dustin Pedroia in 2007. 18 “Among the Big League Infielders,” J.C. Kofoed, Baseball Magazine, Vol. XIII, No. 3, January 1914, 35. 19 The contract signing was reported in Sporting Life, January 24, 1914. The size of the contract was revealed during court proceedings conducted in March, noted within the text. 20 Daniel R. Levitt, The Outlaw League and the Battle That Forged Modern Baseball: The Federal League Challenge and Its Legacy (Lanham, Maryland: Ivan R. Dee, 2012), 105. 21 As reported in the Washington Post, April 3, 1914, and Sporting Life, April 11, 1914. 22 Henderson’s ruling came as a great relief to American League President Ban Johnson, who thought that Dreyfuss had needlessly placed the reserve clause at risk by going to court to stop Camnitz. 23 The wedding details were duly reported in the Bourbon (Bourbon County, Kentucky) News, July 3, 1914. Father McCloskey from Jimmy’s hometown of Reading performed the ceremony. 25 Sporting Life, November 7, 1914. 26 As reprinted in Sporting Life, September 5, 1914. 27 Sporting Life, December 14, 1914. 28 As reported by Pittsburgh sportswriter A.B. Cratty in Sporting Life, April 30, 1915. 30 Sporting Life, May 8, 1915. 31 Sporting Life, January 23, 1916. 32 As reported in Sporting Life, May 13, 1916. 33 As reported in the Springfield (Massachusetts) Union, August 5, 1916. 34 Viox sale’s to Toronto was reported in the Pawtucket (Rhode Island) Times and Montgomery (Alabama) Advertiser, August 14, 1916, and elsewhere. 35 John Thorn, Pete Palmer, and Michael Gershman, eds., Total Baseball, 7th ed. (Kingston, New York: Total Sports Publishing, 2001), 1253. 36 Sporting Life, September 23, 1916. 37 As per the Kansas City Star, March 21, 1919. Two years later, a “rather rotund” Viox was depicted in a team photo of the Portsmouth Truckers. See The Sporting News, December 1, 1921. 38 Salt Lake Telegram, March 31, 1919. 39 Viox spent the entire 1919 season on the Salt Lake roster as a suspended player, as per the 1920 Reach Official Guide, 270. 40 As reported in the Cincinnati Post, April 25, 1919. 41 See the Kalamazoo (Michigan) Gazette, January 30, 1920, Kansas City Star, February 6, 1920, and Canton (Ohio) Repository, February 13, 1920. 42 As reported in the Salt Lake Telegram, May 22, 1920, Denver Post, May 24, 1920, and elsewhere. 43 After the season, Viox arranged the sale of Truckers shortstop and future Hall of Famer Pie Traynor to his old club, the Pittsburgh Pirates. 44 As reported in the Washington Post, September 15, 1922. 45 According to the New Orleans Times-Picayune, May 7, 1924. 46 As reported in the Evansville (Indiana) Courier and Press, June 21, 1925, Charlotte Observer, June 25, 1925, and elsewhere. 47 As reported in the Greensboro Daily News and Richmond Times, May 29, 1928, and elsewhere. 48 E-mail to the writer from grandson James Henry Viox, III, April 8, 2014.